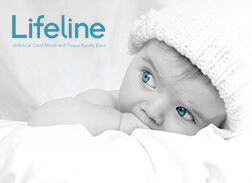 Lifeline is an EU authorized and licensed Cells and Tissue Establishment. The authorization is renewed biennially following inspection and audits by the competent state authorities as required by legislation deriving from EU directives. The LifeCord innovative methodology offers considerable advantages compared to other methods. The LifeCord procedure enables the banking of TWO distinct cellular therapy products, under a single Cord Tissue service, with each product containing a different cell type. 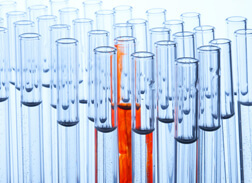 The method is an award-winning innovation with a granted International patent. Lifeline has licensed the rights of the LifeCord methodology to an equivalent facility and the service is already being offered by a respective organisation in the United States of America (USA). Lifeline has been recognized as a «National Champion» in the 2014/15 European Business Awards. The European Business Awards is the showcase of Europe’s skills, achievements and innovation in the field of business. The European Business Awards is a widely recognized prestigious competition recognizing and rewarding excellence, best practice and innovation across the European business community. The new LifeKit is a groundbreaking inn ovation in the transportation of biological samples. The LifeKit maintains its contents at a predetermined constant temperature, irrespective of any external temperature variations, ensuring that the quality of the units in transit is maintained. The LifeKit device is the first of its kind to provide the appropriate conditions during the transportation of biological products and as such, it has been filed for an International Patent. The LifeKit was ranked as one of the 4 best submissions in the category: Best Temperature Controlled Global Logistics project. This recognition was awarded by a panel of experts/judges for the Excellence Awards at the Cold Chain Global Forum, in USA, where pharmaceutical and other multinational organisations actively participated. The 2010 Innovation Award for the Services Sector was awarded to C.B.B. 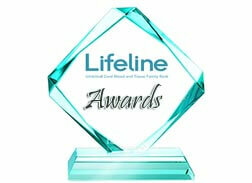 Lifeline Biotech for the successful innovation submitted for the 5th Cyprus Innovation Award Contest. The innovation pertains to the LifeCord methodology and the development of a scientific protocol for the processing and cryopreservation of stem cells isolated from umbilical cord tissue.